When I created Inspector Andy Horton in TIDE OF DEATH I had little idea that he would go on to solve so many murder mysteries. To date there are fourteen in the series with DEAD PASSAGE the latest investigation for the flawed and rugged Portsmouth based detective. 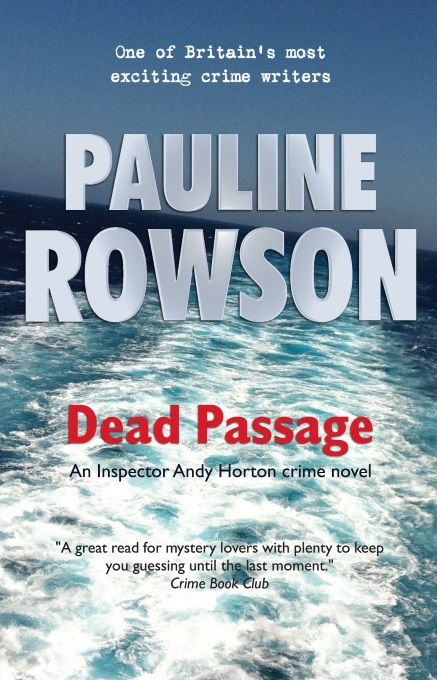 In Tide of Death, I knew that Andy Horton had no knowledge of his father and, until the age of ten, had been raised by his mother first in London and then in a council flat in a tower block in inner city Portsmouth until one day she failed to return home from working at the casino. Horton was told that she had run off with a man because she no longer wanted a kid in tow. Hurt, confused and angry he'd been consigned to a tough upbringing in children's homes in Portsmouth on the south coast of England, a densely populated urban city with a high level of deprivation but with an expansive sea front, a busy naval dockyard and a thriving port. Then, at the age of fourteen, he's fostered by police officer, Bernard Litchfield and his wife Eileen, and his life began to change for the better. Bernard and Eileen did their best to love and encourage him and to set him on the right track. They succeeded. Andy Horton became a police officer. The police provided him with the family he'd lacked, it gave him a structure to his life, a purpose, and a fierce desire for justice along with empathy for victims of crimes. For years he forced himself to forget about his mother until in crime novel number three in the Andy Horton series, THE SUFFOCATING SEA, he discovers that what he's been told about Jennifer, is a fabric of lies. There is a great deal more to her disappearance. Once he opens the Pandora's Box to her past he begins to uncover some disturbing facts but it is too late to go back. He must press on until he finds the truth about Jennifer's disappearance and those involved in the conspiracy behind it. The thread of Andy Horton's quest for the truth about Jennifer is weaved into each of the Horton crime novels while at the same time Horton has a new crime to investigate. Each novel therefore stands alone and the books don't have to be read in sequence although some readers prefer to do so. I didn't know when I started writing a series with a back story such as Andy's with his mother, Jennifer's, disappearance how challenging it would be to weave this into the plots without boring readers who had followed the full story from the beginning while including enough information not to confuse new readers. I hope I have achieved some success in doing this.